Build excitement and increase engagement before your event. Sched will help your attendees stay organized and get the most out of their experience. Quickly add and invite your attendees using the spreadsheet template. Send personal invites right away or whenever you're ready to launch. Let your attendees browse the schedule and bookmark their favorite sessions ahead of time. Make networking easy with a full attendee directory. 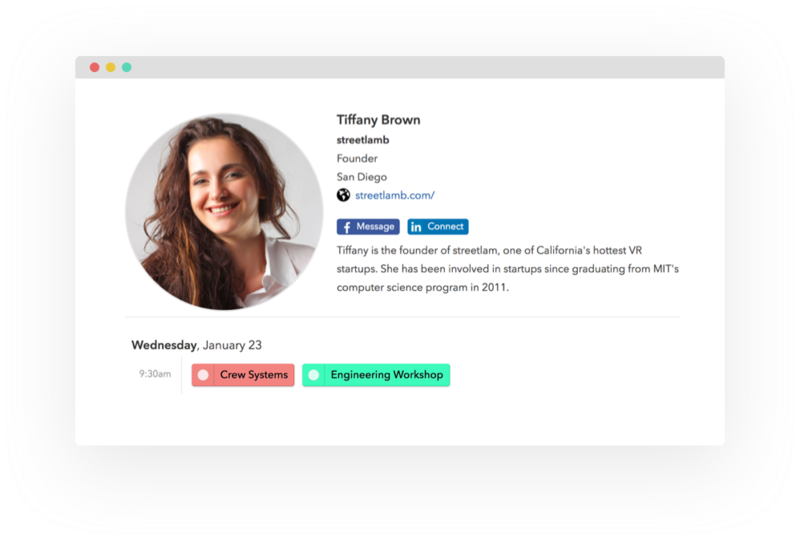 Attendees can add a photo, bio, and connect their social media profiles. 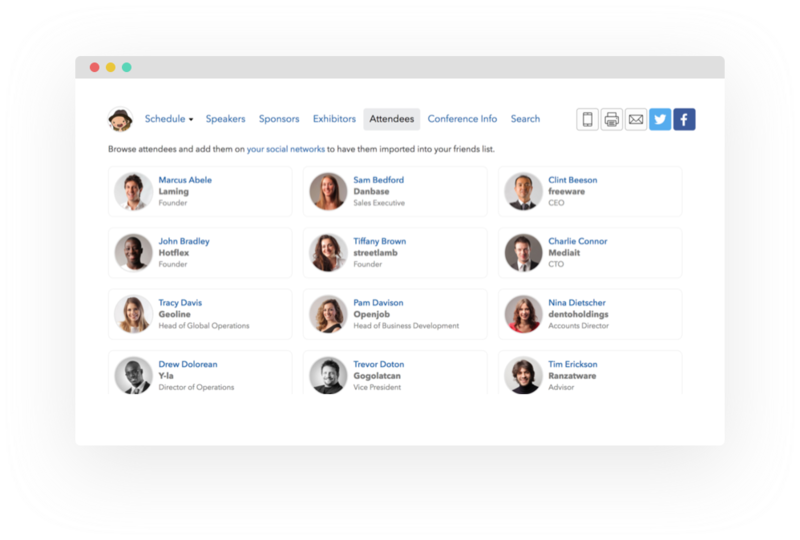 Attendees can see which sessions their friends and colleagues are planning to attend at the event. 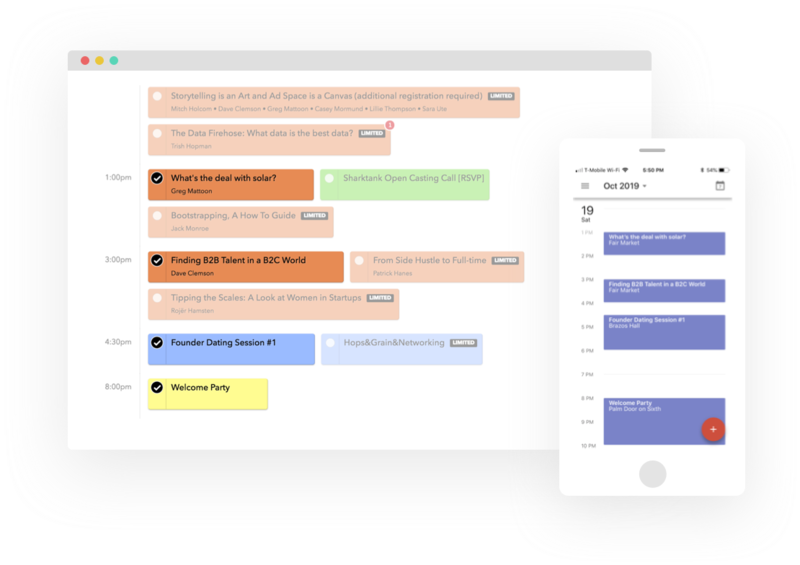 Attendees can sync their agenda with Google Calendar, Outlook, or Apple iCal. 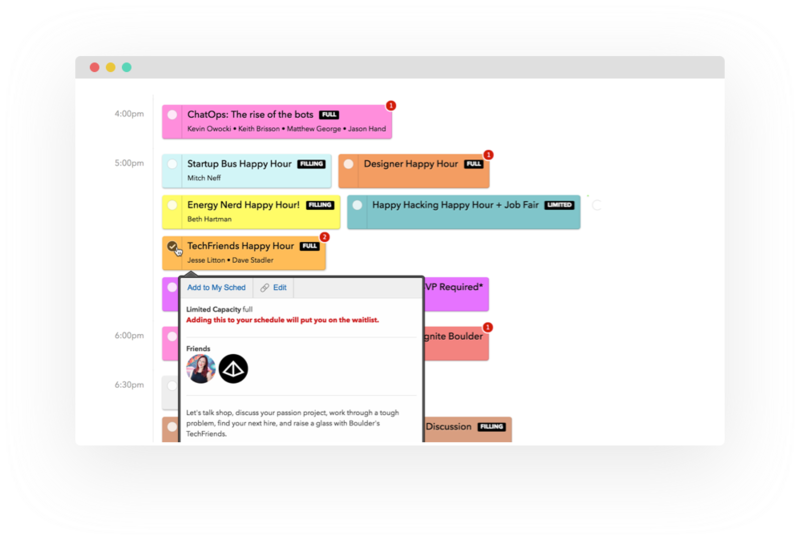 Schedule changes will sync automatically, giving them the latest information right where they want it. 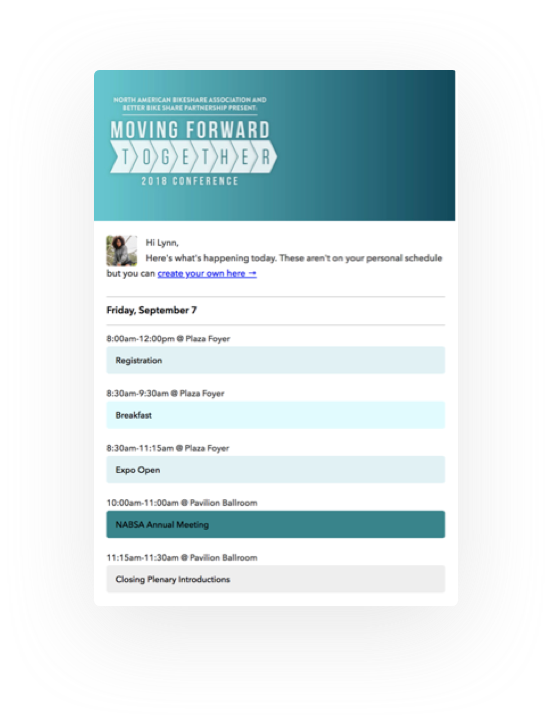 Attendees receive an email with their schedule each morning of the event. It includes quick links to view the full schedule, sync to their calendar, and print. 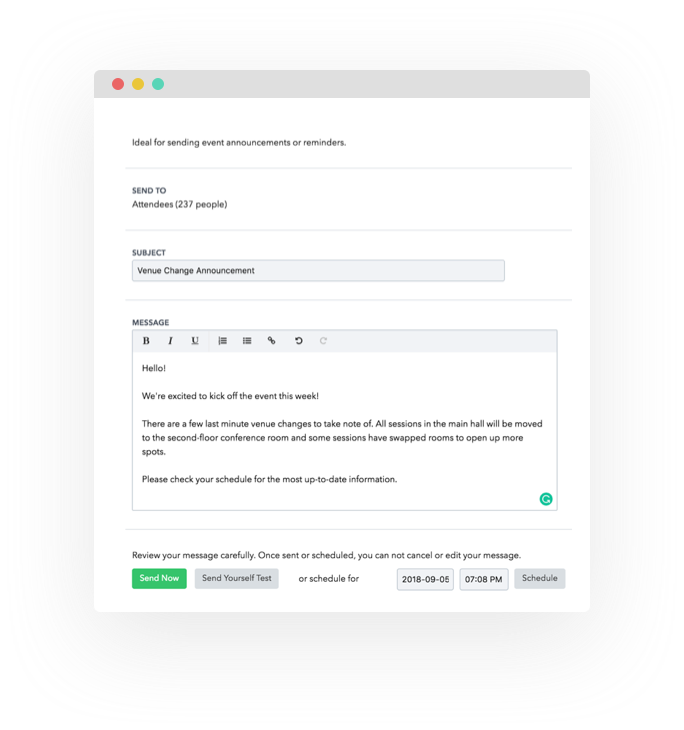 Whether you’re blasting out a reminder to all attendees, announcing a venue change to a specific group, or sending out a post-event survey, you can do it all right from your control panel.